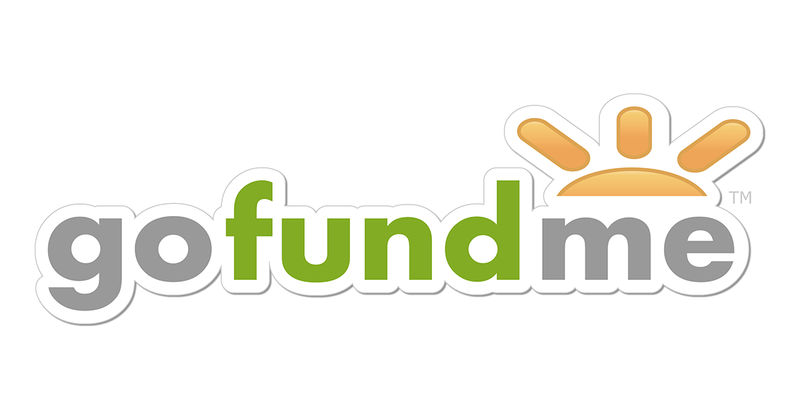 Are you a GoFundMe campaign organizer using Stripe for payments? If so, you’ve come to the right place. GoFundMe has created a helpful getting started guide, which goes through setting up your GoFundMe account and connecting it to Stripe. You can find all details on GoFundMe and Stripe pricing here. To ensure your Stripe account is up and running to accept donations, please tick off the following steps. Personal information (e.g. full name, date of birth, government issued ID) of the bank account owner. You may be asked to verify this info later. At the end of the form, you’ll be asked to connect to Stripe. You’ve now created your campaign, and GoFundMe will send a link to activate it via email. It’s essential that you activate your account within 7 days, or Stripe will be unable to continue accepting donations. Alternatively, you can activate your account directly in your Stripe Dashboard. If you’re raising funds for yourself or a friend, you can register your Stripe account as an ‘Individual’ campaign. If you’re raising funds for a 501©(3) Certified Charity in the US, you can register as a ‘Non-profit’. Stripe may request that you upload a scan or photograph of a government-issued color photo ID. You will need to log into your Stripe account to submit this via the Dashboard. To learn why this might be necessary for you, read about our responsibilities to our financial partners. You’re finished! To double check, you’ll see that the “Activate Your Account” notice will disappear from your Stripe Dashboard. I’m under 18! Can I raise money on GoFundMe with Stripe? You need to be over 13 to create a GoFundMe campaign. If you’re under 18, I’ve good news for you – you can collect donations, provided we collect verification info from your legal guardian. You’ll find more info about this here. I’d like to learn more about getting started. To read more about your Stripe account (e.g. login issues, changing your password, updating your email address or bank account), visit the My Account support guide. Why do I need to submit my ID or personal information to Stripe? Part of our responsibilities to our financial partners involve verifying your identity and confirming the legitimacy of your campaign. In some cases, we need to collect a government-issued color photo ID to ensure we can continue sending donations to your bank account. You can read more on that here. The whole process can be performed within the Dashboard. For security reasons, we do not accept copies of IDs over email. Once you’ve entered your personal and bank account information, Stripe will automatically deposit funds to your bank account when they become available. If you are a returning GoFundMe user, your new campaign will withdraw to your previously-attached bank account. Please take a moment to ensure that the banking details are up-to-date before creating your first withdrawal. How long does it take for donations to arrive in my bank? Once you start accepting donations, your first payout will be sent to the bank account within 7-10 days. This allows Stripe to mitigate risks inherent in providing credit services. Following payout schedules will depend on your country’s withdrawal schedule. You can see a full list here. You can view a list of all payouts and the date they are expected to become available in the Dashboard. I think my funds should have arrived by now. The exact timing of your donations reaching your bank can depend on a number of factors. On occasion, banks can take 2-3 additional days to post the funds to your account. You can see a full list of possible payout failure states here. By default, your payout schedule is automatic. You can switch to manual payouts in the payouts section of the Dashboard. Why are my withdrawals disabled? If Stripe pauses withdrawals to your bank account on file, we will notify you immediately by email. You can also find details about this in your Stripe Dashboard. Most often, withdrawals are paused so that we can complete your identity verification. In this case, please read our ID Verification guide above. I’d like to know more about withdrawals. You have the ability to refund donations made to your campaign, either in whole or in part. Once issued, a refund cannot be canceled. To issue a refund, go to the Payments page of your Stripe dashboard. Choose the donation you wish to refund, and click the “Refund” button. If you don’t see the right donation immediately, try the “view all payments” button at the bottom of the Payments page. I think my donor’s refund should have arrived by now. Refunds can appear in the form of a reversal or a credit. Refunds issued shortly after the original charge appear in the form of a reversal instead of a refund. In the case of a reversal, the original charge drops off the donor’s statement, and a separate credit is not issued. If this doesn’t apply to your refund and it is still missing, please send details to GoFundMe through their Contact Form and they’ll work with you to fix the issue. I’d like to learn more about refunds. Disputes (also known as chargebacks) are an unfortunate aspect of accepting donations online. A dispute occurs when a customer challenges a donation with their bank or credit card company. Disputes are often the result of fraudulent charges made by stolen credit cards or card numbers. We recommend submitting evidence in your favor, which can be done through the dashboard. The dashboard has a step by step guide, and you’ll want to tailor your evidence to the dispute type. My donors don’t recognize their donations. How can I change what appears on their bank statement? You can edit your default statement descriptor by going to your Business Settings. I’d like to know more about chargebacks. Failed donations (also known as declines) can happen for a number of reasons, and it’s understandably frustrating when they represent a loss of funds. However, certain failures are actually preventative measures working to reduce the possibility of fraud and chargebacks. Why was a donor’s card declined? How do I know if a donation is fraudulent? Unfortunately, accepting donations online comes with a risk of fraud. We’ve put together a list of common things to look out for that should help. If in doubt, we suggest refunding the donation to avoid the possibility of a dispute. I’d like to know more about declines. That’s okay! Here’s a general breakdown of when you should contact GoFundMe or Stripe. Include as much information as possible (charge IDs like chXXX and payout IDs like poXXX).